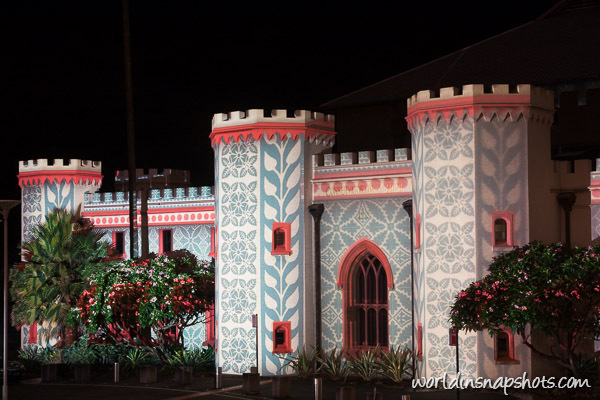 I wanted to call this post – the best Christmas projections in the world, but I didn’t travel to all places in the world yet. I am sure I did miss some great shows, so here are just couple places which you really would love to see. These are not light shows. 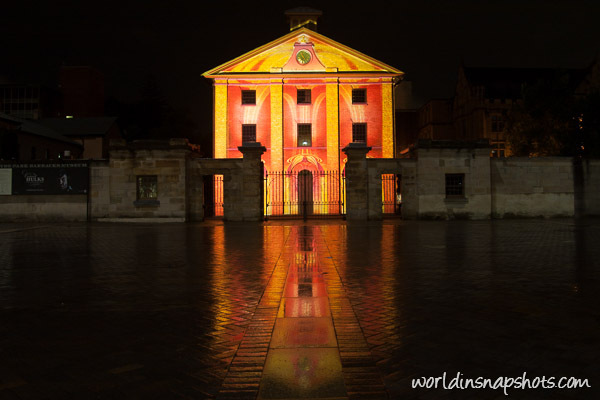 A lot of cities are lighten during Christmas time, but only some have still or video projections. Here is short list where it can be seen. 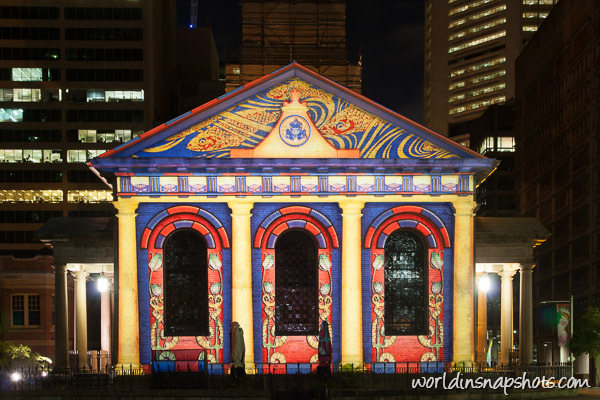 I am not sure when these projections started in Sydney but personally I saw it 5 years ago for the first time. Projections were amazing and I don’t remember how many nights I spend watching it during that month. It looks so naturally and it seams like building painting but not a projection. Projection pattern changes during the night and here is pictured only one of them. 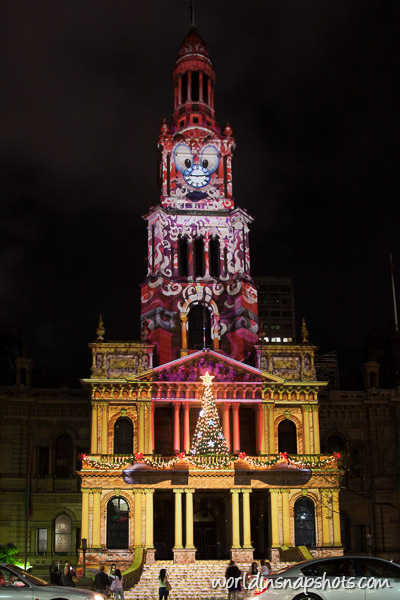 This year (2013) projections should be on two sides of Sydney Town Hall – an usual projection on George street facade and new digital animation should be shown on the side in Sydney Square. I think State Library was better location without trams in front of building, but this year projections are shown on Town Hall walls again. I would like to hear if anybody knows interesting Christmas projections in other cities. Please post it in comment and enjoy Christmas time!